A handy calculator that helps you simplify fractions step by step. 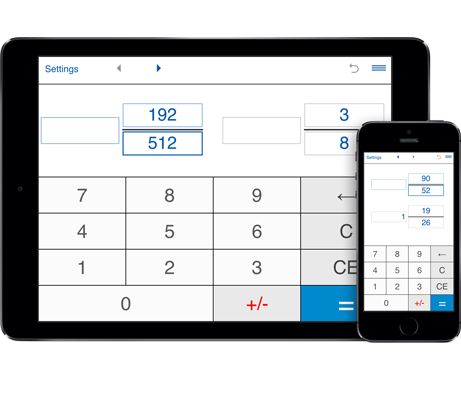 This online calculator helps you simplify fractions and mixed numbers. To simplify fractions, enter the numerator and denominator (integer numbers only) and then press "=". The calculator will find the Greatest Common Divisor (GCD) of the numerator and the denominator and then divide both the numerator and the denominator by their Greatest Common Factor (GCF). The calculator shows the fractions in their simplest form. You may enter positive or negative numbers for both numerator and denominator.